"The secret of life? Dream and Love. And a good cup of coffee"
To start the day at your best, our hotel offers you a buffet breakfast included in your room price with real Italian coffee (Caffè Pedron). If you want a special treat, just ask for an espresso or a cappuccino. At our breakfast buffet, you will also find different types of fresh bread, butter, ham, cheese, eggs, yoghurt, cereals, apples, jams, honey, tea, infusions, apple and orange juice. If you ask in advance, we will be happy to provide you with gluten-free bread and dairy-free milk. Early check-out? No problem! We can put a cold breakfast in your room the night before your departure, just ask in advance. 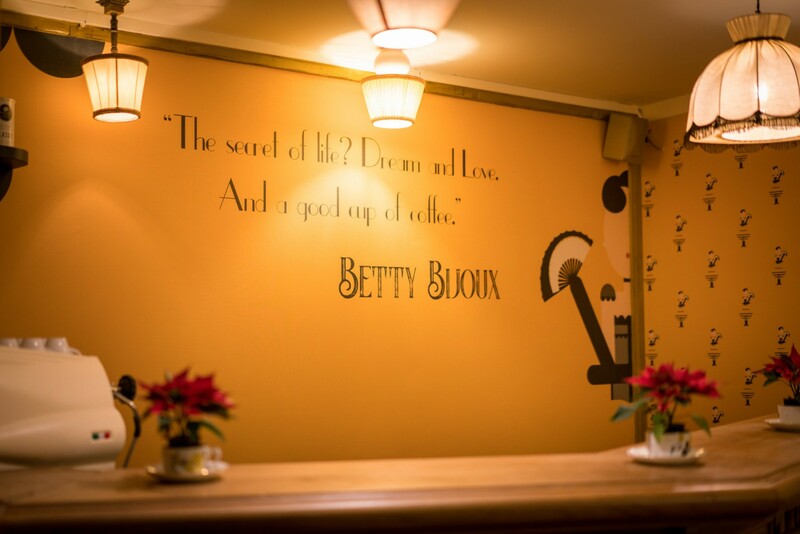 Betty Bijoux will happily offer you tasty Belgian beer, wine, drinks and delicious homemade food. Are you a coffeeholic? Then this is the place to be! 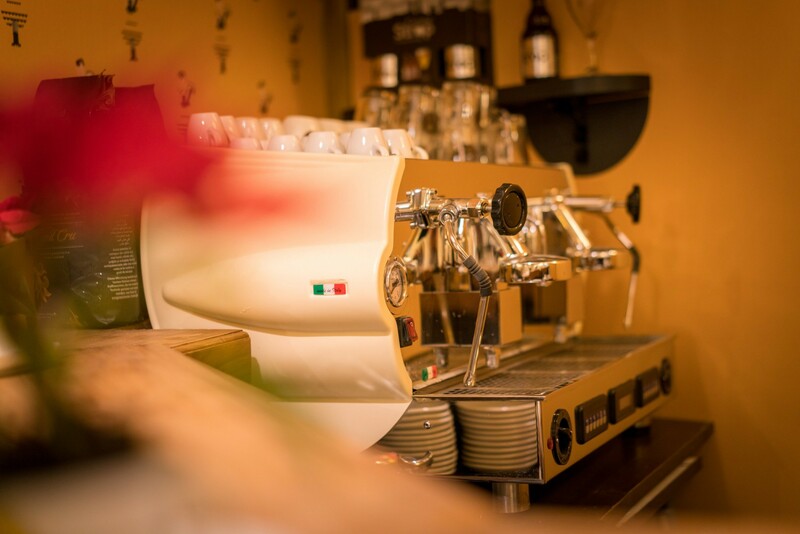 Here at Flandria Hotel, you can drink a real Italian espresso and cappuccino or try different specialties with coffee as the main ingredient. Our coffee provider (Caffè Pedron) is 100 % Italian – and nobody does coffee like the Italians do! Betty Bijoux loves coffee, but she loves art too. That is why our bar also hosts exhibitions by talented local and foreign artists. Come and have a look, Betty Bijoux is already here for you! Do you like our bar? Tag us in your photos!